Nicknamed "The Sunshine State," the subtropical and tropical state of Florida is a grower's paradise, allowing for a range of sun-loving plants that make gardeners in colder climates green with envy. Gardeners in Florida don't need to ship in plats for the tropics, as there are many stunning native flowers that are low maintenance and easy to grow. 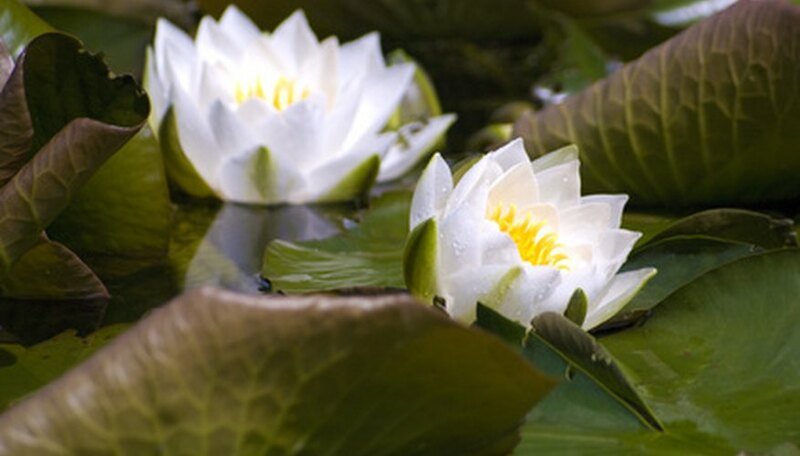 Alligator bonnet (Nymphaea odorata) is a small water lily native to the eastern United States that produces crisp white flowers with yellow centers in the summer. The flowers are quite small, reaching between 4 and 9 inches in diameter. 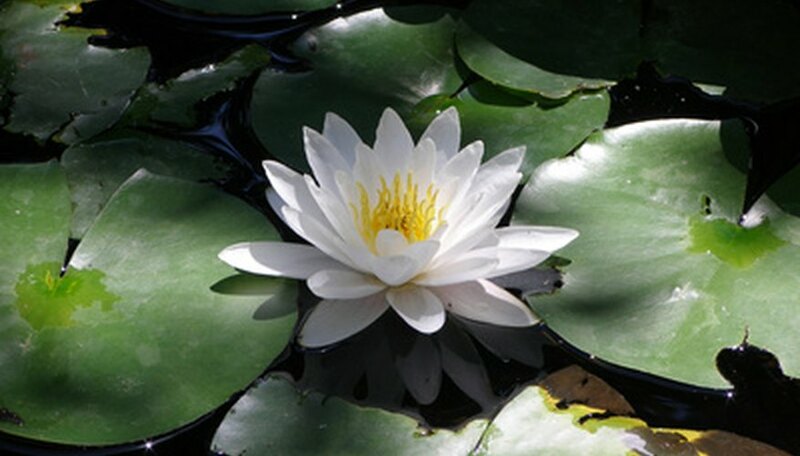 Also called fragrant water lily because of its sweet scent, alligator bonnet is a striking plant that can grow in as little as three inches of water. The plant tolerates most types of soil and primarily requires full sunlight. The alligator bonnet undergoes a period of dormancy in the winter before blooming again the following season. Cardinal flower (Lobelia cardinalis) is a flowering perennial native to the eastern and southern regions of the United States, including Florida. The plant has tall stalks between 1 and 3 inches that are a dark, almost purple color. Cardinal flower explodes into color with bright red, tubular flowers. The flowers are pollinated by the beautiful ruby-throated hummingbird. Cardinal flowers require moist soil and will do well near a pond. The plants will thrive in full sun to partial shade. Blanket flower (Gaillardia pulchella) is a summer-blooming plant that produces brilliant, multi-petaled flowers in a spectrum of oranges, yellow and reds. Most species of blanket flower are native to Florida and parts of the southern United States and down into Mexico. 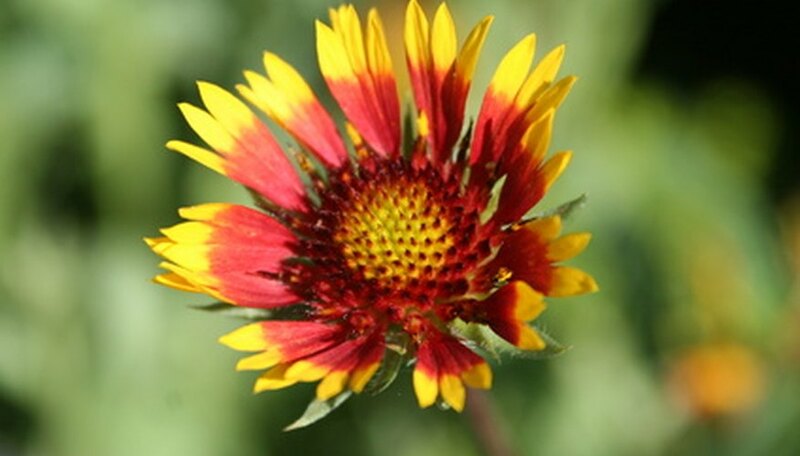 Also referred to as Indian blanket for its resemblance to Native American fabrics, blanket flower is a low-maintenance, drought-tolerant plant that loves full sun. Blanket flowers require well-drained soil to grow--too much water in the winter will easily rot their roots. Deadheading the blooms will prolong the appearance of the blanket flower's colorful flowers.